Lou Ludwig bring three decades of success to each client and organization that he works with and is recognized as a Master Trainer, Motivator and a leader in both the New Homes Sales and Real Estate Industry. Lou has managed, trained, consulted, coached mentored and inspired outstanding individuals and organizations to Peak Performance. Lou is an Member of the National Assocation of Realtors (NAR), The National Association of Home Builders (NAHB) and The National Speakers Assoication (NSA). 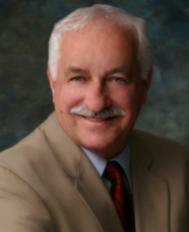 As an expert in his field, Lou is often called upon as a sales and management trainer and consultant, and speaker. Lou specializes in working within the home building and real estate industry and is recognized as one of the foremost peak performance and sales turnaround specialists in the country. Lou Provides Peak Performance Services to home builders, developers and real estate companies. Lou provides services to a variety of clients ranging from small entrepreneurial companies to builder 100 companies and organizations listed on the stock exchange. Organizations contract Lou because they have reached a level of achievement and are committed to take their success to the next level of excellence. Other organizations may be experiencing significant challenges and may require a complete turnaround.